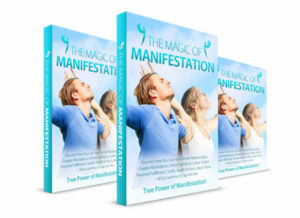 How You Can Manifest Your Desires! How do you find out what you really want in life? It’s important, because before you can manifest anything, you must have a clear idea of what you want! And for most people, the first thought is usually increased prosperity – more money. But there is another way of looking at this: that what you really need to manifest is the thing which will make you happy at your deepest level. And that may not be money. Let’s look at this idea in more detail. Deborah Price has written a book called Money Magic, where she describes some really interesting ideas about how we can all achieve our true potential in the area of prosperity – and fulfillment. She says in her introduction, “The advertising and media industries have convinced is that we are nothing without money and material possessions. We have been brainwashed into believing that material possessions are what we are supposed to want, that fulfillment comes from what we have rather than how we live and feel…. Shopping malls and Internet virtual shopping malls allow us to shop 24 hours a day – all to fill a void that we deeply feel but failed to understand. And how true this is! How exactly she has summed up the overriding drivers of the human being, a species on this rich planet, and like every other species, dependent on each other for our continued survival. There seems to be something about human nature which is fundamentally acquisitive. Perhaps it’s a genetically determined survival “program”. Perhaps not. Surround yourself with others who share your approach to life and philosophy. Keep your spirits, energy and motivation high. In either case, perhaps it’s not too late for us to change. Maybe even to save ourselves. For although we may feel that acquisition of material goods and financial wealth is somehow important, it can hardly be our individual or collective purpose on this planet. The truth is you, I and everyone else was born to do something on this planet other than accumulate wealth and material possessions! True prosperity and abundance are about fulfillment, about finding a life purpose which expresses the essence of who you are, and justifies your existence on the planet. For it is true that you have the power to make a difference, and to become part of the conscious few who present solutions to the difficulties facing us. Are you part of the problem or part of the solution? 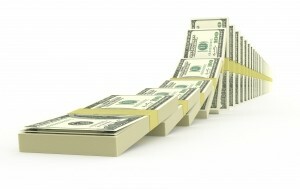 Of course money itself is not inherently evil or bad – in fact, you can see it simply as an energy. It can be used to create, and it can be used to destroy. It is both spiritual and material. And of course it can energize and propel us, or cause us fear – or even terror which paralyzes us. But when we find a way to look beyond the power that money has over us, we can surely manifest a better way of being in the world, and if then we can make money from that way of being – well, how wonderful our lives would be. And I don’t want to give you the impression that I believe every attempt to manifest money – or, if you prefer “financial abundance” or “prosperity” – needs to be based on a spiritual dream. What I’m really talking about is the need for personal fulfillment, and also the (hopefully obvious) fact that if you are doing something you love, the energy of the money which you acquire through doing it will be more gracious and wholesome. Compared, I mean, to the money you acquire by doing something way out of line with your basic values and personality. So let’s start by considering what personal fulfillment really is. I like to think of it as being the internal experience of satisfaction that comes from doing something in line with your deepest values, something that makes you understand what your life purpose is. Something that uses your true talents and abilities. The sad fact is, however, most people on this planet are indeed disconnected from their soul. You only have to look at the way people behave towards each other and towards themselves: addictions, illness, violence, conflict – all of these negative experiences, including disconnection from the planet, indicate a loss of connection with soul. Worse, we have lost the spiritual mentors and teachers who can guide us to a greater understanding of our soul purpose and our connection with God (or, if you prefer, the universe, the universal energy, the cosmic consciousness, spirit, the great mystery… Whatever you call it is fine by me). And in the absence of such spiritual mentors and teachers, we struggle to find a purpose in life …. indeed, we struggle to find fulfillment. Some experts on manifestation say that you can expect more success if you try and manifest things which are in line with your highest values. But what do we mean by highest values? Well, basically something that is one of your heart’s truest desires. Another way of putting it is this – your soul purpose. Now, I’m not so sure that I completely believe this, because my experience has been that the universe will manifest lots of things in response to a sincerely held desire and a firm belief in the likelihood of it manifesting. Of course many things you think you want (and get) might not be in your best interests. You see, I believe the universe is neutral – it will manifest something that’s in line with your hearts desires and your soul purpose just as easily as it will manifest something that is purely materialistic and ultimately harmful to you. And so you might want to try manifesting something that matches the values of your highest self, because there’s no question that creating or manifesting things in your life which are in line with your soul purpose will be much more fulfilling to you. Well, there are several ways to find out. It’s certainly true that the answer to that question isn’t always obvious, so you might need a bit of help. First of all, you need to get in touch with your innermost desires – easier said than done, perhaps! But pausing for meditation and quiet time, and reflecting on the messages from your subconscious which then make themselves heard can be a start. If you ask these questions of your mind, and you are open to the responses, you will find out what your innermost desires are. One of the things that you need to know here is that your body never lies; in other words, your body may be a source of better information about your true feelings than your mind. If you come up with an image of what it is that you want to do, or some other representation that fits for you, how does it feel? How does it feel in your body? What emotions do you experience? If they are positive and exciting, and if what you envisage feels normal and natural, that’s a pretty good sign that you’re on track. If you want to read more about this technique, get hold of the Kindle e-book “Why The Law Of Attraction Doesn’t Work For Most People“. There are other techniques in there which you can use to offer up your vision to the universe, and see how it feels after the universe (aka God) has been able to receive your vision. Time out in nature is especially good for connecting with yourself and the world around you. And those connections can really help you discover the truth of what you want to manifest. Note well – you won’t get anywhere if you submerge yourself in day-to-day work, or if you rush around frantically from one task to the next. And you also need to ask the right questions in the right way. According to Michael Mackintosh, author of “Why The Law Of Attraction Doesn’t Work For Most People”, there are seven questions that you can use to discover your heart’s true desires. Again, take this seriously – this is not some small issue. It may well be your entire future that you’re looking at here. How seriously, then, do you take the task of finding out what it is that you need to do in your short existence on the planet Earth? To what extent are you prepared to put yourself and the manifestation of your soul purpose before the trivialities of everyday life? So many people have difficulties here: responsibilities to family, commitment to work and the things we see as essential for our everyday existence… these can seem so much more demanding of our time and energy than our own welfare and the manifestation of our soul purpose. At the end of the day, only you can make the decision about how you allocate your time to these important matters. But the degree to which you’re prepared to spend time working on your own vision of your own life is a measure of how spiritually advanced or evolved you are. Now, I’m not one of those gurus who thinks that only the people who can claim to be spiritually evolved deserve to have success manifestation. We all deserve to have success in getting what we want, and in creating the life that we most desire. But the fact is that in terms of finding your soul purpose, it’s clearly better for you spiritually to try manifest something that is in line with your higher values. So here are those questions. The answer should come from your deepest mind. 1 What would be the highest physical manifestation of your inner nature? 2 What represents the highest good for all? 3 What would you like your legacy – the thing you will be remembered for – to be when you die? 4 Who is it that you want to help? And how would the people whom you help benefit by what you do? 5 What life situations bring you joy? 6 If you were immune to the influence of society (such as advertising and television), what would be your deepest desire? 7 What vision do you have of yourself five, 10, and 20 years from now? By writing down the answers to these questions, and acknowledging whatever comes to you, you will find a place where your heart suddenly feels fully engaged and excited with what you have written. And then, when you know that your soul is speaking to you, and your passion is engaged, you will perhaps have found something that approaches your true nature or your true purpose on the planet. Why does that matter? Because, if it isn’t already clear to you, the more you use your gifts to make a meaningful contribution to others, the more fulfilled you will be. John Assaraf has written about the spiritual aspect of the law of attraction as well. He claims that it doesn’t work for 99% of the people who try to use it. The Secret sold hundreds of millions of copies – surely, if the “secrets” in there were correct, then people would be having great success manifesting reality? You’d think so, and it raises the question of whether The Secret really did reveal the secrets of manifestation or not. As John says, when you visualize a specific goal or outcome you send out energy at a particular frequency. The stronger the emotion, the more powerful that frequency – the more likely it is to impact the universe’s grand design. But of course over time – at least for most people – the power of that vibration diminishes. He says that to achieve success, it’s necessary to create “an internal symphony” between your conscious mind and your subconscious mind. In other words, between your vision, goals and beliefs, and your habits – or to put it another way, what you believe about yourself. In other words, for John, the key is emotionalizing your desire and impressing it into your subconscious mind. That sounds to me very much like aligning your unconscious and your conscious beliefs. That’s to say, dispelling limiting beliefs about yourself. You can read about that here.